John Deere is an industry-leading manufacturer of high-end agriculture equipment, including compact utility tractors, large farm tractors, and more to meet all your planting, harvesting, and landscaping needs. 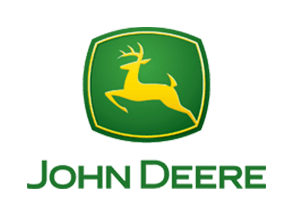 The widely recognized Deere logo is symbolic of quality and a long legacy of supporting farmers, landowners, and other agriculture professionals with innovative equipment and farming technology. As an authorized John Deere dealer, Papé Machinery Agriculture & Turf keeps you moving with premium John Deere equipment and services throughout Oregon, Washington, Idaho, and Northern California. And we carry more than just an innovative line of new John Deere heavy equipment. We also offer one of the West’s largest selections of quality used agricultural equipment to keep you moving. After the purchase or rental of your new or used John Deere tractor, Papé Machinery provides 24/7 support with farm equipment maintenance and repair. We have expert technicians to service any make and model in the shop or in the field. We carry an advanced inventory of John Deere parts to keep your machine performing at its best. Contact us to request service from your nearest John Deere dealer serving Washington, Oregon, Idaho, and California. Papé Machinery can meet your short-term and seasonal equipment needs with flexible rental options on top-quality machinery from John Deere. From utility tractors to four-wheel-drive and row-crop tractors, we have the farming equipment you need, when you need it, so you can get the job done. Contact Papé Machinery Agriculture & Turf in Oregon, Washington, California, or Idaho to learn more about our rental fleet. Reserve your agriculture equipment rental today!